People can live better if they take care of their muscles. Age should no longer be chronological but about remaining active and continuing to do all the things people love most without any complaints from their body.The 600 muscles in the body will largely determine whether this can be achieved. But the problem is, most people ignore their muscles and any understanding of what those aches and pains mean. They don’t realise what is happening and allow tension to build up and muscles to become stiffer and more splinted. The ideal state of human muscles is that when they are relaxed, they are as long and stretched out as possible. When they’re lengthened it allows more blood flow to come in and more of the toxins and chemicals that build up and cause pain to leave. A tense muscle can’t allow the good to come in or the bad to leave, so it just holds it all within itself, becoming even tighter. At the end of a day, the average office worker a will have the same amount of lactic acid and muscle tension in their back and shoulders as a long distance runner after a long run. And many people don’t have a way to help their muscles to relax and be lengthened when at home. This is the beauty of hot water and massage. Hot tubs allow the tissue to be massaged and lengthened which is the ideal situation to enable people to do better stretching, to be able to live with great flexibility and do the things they want to do, when they want to do them. 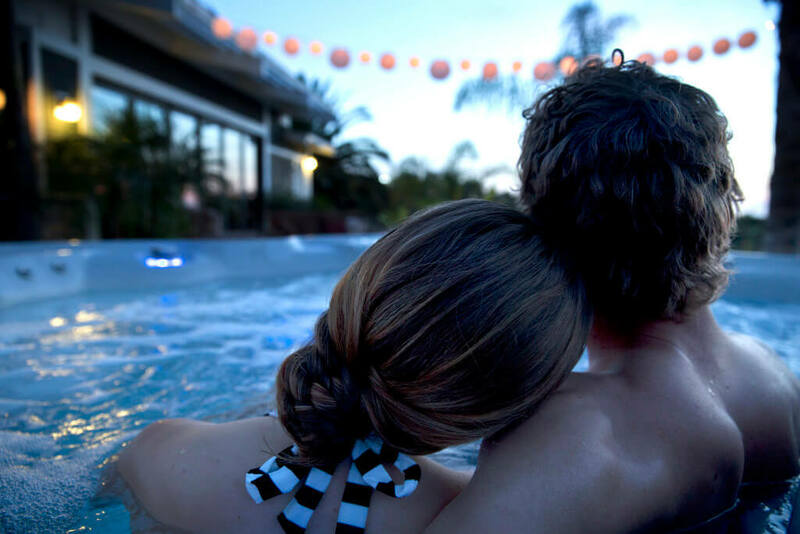 Having a hot tub to retreat to after a tiring day is a glorious private sanctuary. It can help people to forget their stresses and relax their minds, as well as relaxing their entire bodies. Those tired muscles will finally be getting the lengthening massaging soak they’ve been waiting for. A hot tub can help ensure that bodies will leave feeling much better than when they got in.